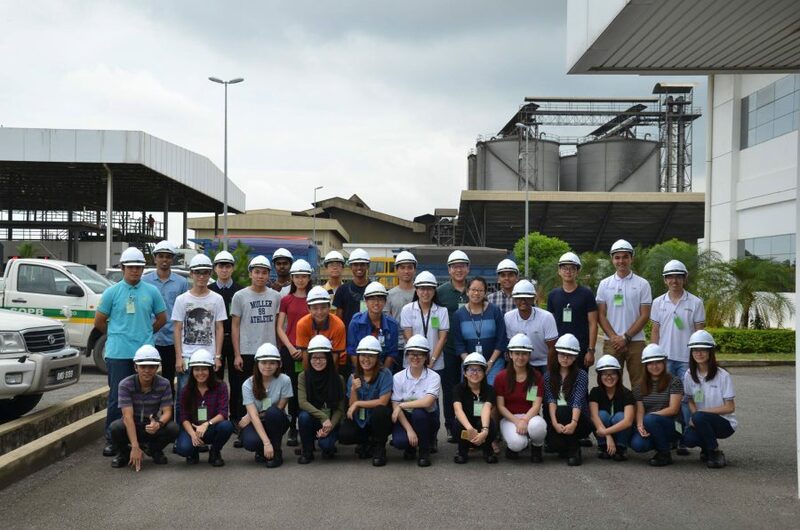 2018 Institution of Chemical Engineers (IChemE) Student Chapter visited to the industrial bread baking and latex manufacturing plants. 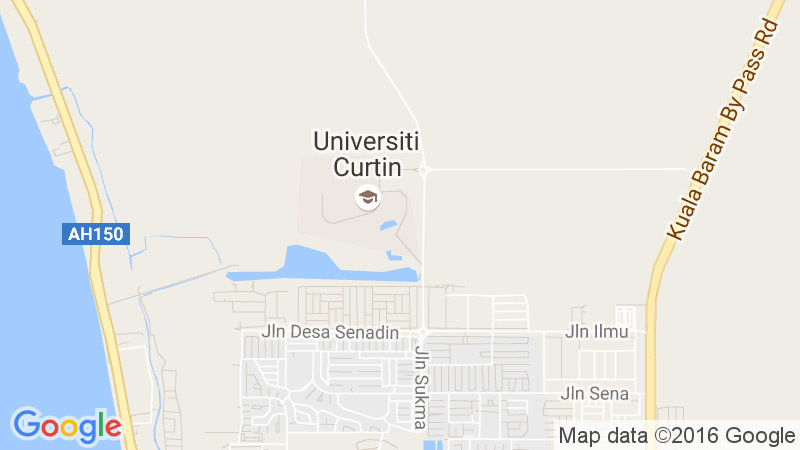 Curtin University Malaysia (Curtin Malaysia) higher degree by research (HDR) student Jaison Jeevanandam did his university proud by winning a gold medal at the recent 3rd World Invention and Innovation Contest (WiC) 2017. Jaison won on the merits of his novel idea entitled ‘Multi-compartment Antimicrobial Nanoformulation for Food Packaging’ which he presented at the prestigious international contest held at the Convention Center of Chung Mu Art Hall in Seoul, South Korea. 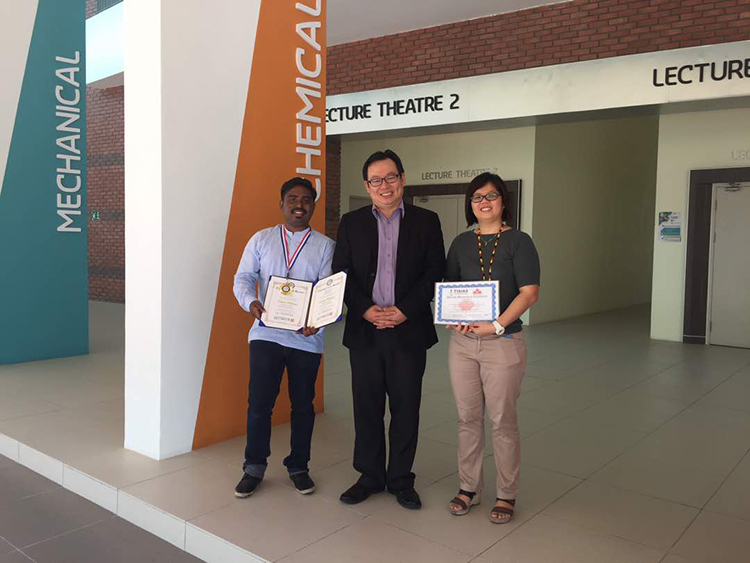 Jaison was supervised Dr Stephanie Chan Yen Shan and Professor Michael Danquah of the Chemical Engineering Department at Curtin Malaysia’s Faculty of Engineering and Science. His idea was one of 150 innovative ideas winning awards. Philip Ting Kin Tien, a second year Bachelor of Engineering (Chemical Engineering) student of Curtin University, Malaysia (Curtin Malaysia) and vice-commandant of the university’s Red Crescent Voluntary Aid Detachment 57, will have the opportunity of a lifetime as one of two Malaysian representatives to the 62nd International Study and Friendship Camp in Austria next month. The International Study and Friendship Camp is an annual event organised by the Austrian Youth Red Cross (AYRC) to bring together young people involved in the Red Cross and Red Crescent Movement at local and national levels around the world. 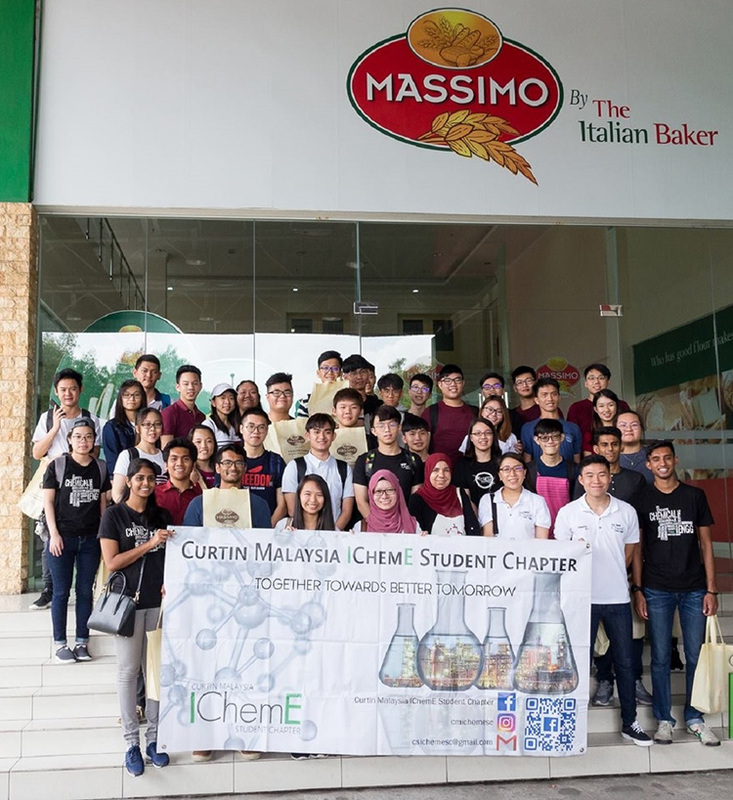 Over 30 students from Sekolah Kebangsaan Kampung Luak participated in a ‘Science Workshop’ organised by the Institution of Chemical Engineers (IChemE) Student Chapter of Curtin University, Malaysia (Curtin Malaysia) at the university campus recently. The workshop was part of the student chapter’s community outreach programme aimed at cultivating interest in engineering and science and encouraging students to pursue tertiary education following their secondary school studies. The ongoing programme is supported by the Foundation in Engineering and Science Department of the university’s Faculty of Engineering and Science. 52 student members of the Institution of Chemical Engineers (IChemE) Student Branch of Curtin University, Sarawak Malaysia (Curtin Sarawak) fought off hunger pangs for 30 hours in support of World Vision’s 30-Hour Famine recently. They ended up none the worse following their ’Curtin Sarawak 30-Hour Famine Camp’ at the university campus and rather were very happy to achieve their ultimate goal of raising funds for World Vision’s projects to combat hunger and poverty in countries across Asia. Over RM4,000 was raised from the camp, and the students learned a great deal about various issues impacting the region’s poor in the process. 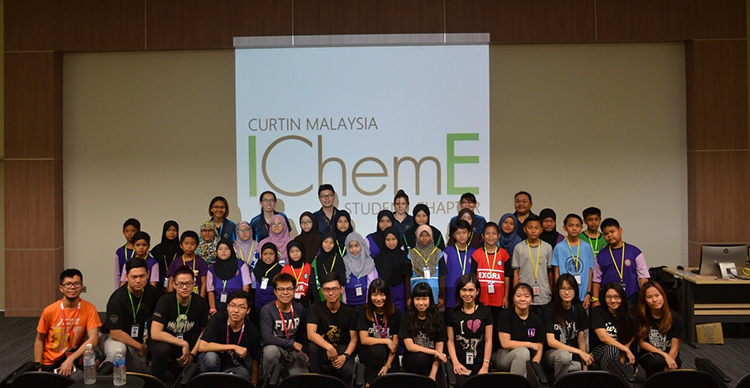 The Institution of Chemical Engineers (IChemE) Student Branch of Curtin University, Sarawak Malaysia (Curtin Sarawak) organised a one-day ‘Scientific Splendour’ Camp for secondary school students in Bintulu. Held at the Bintulu Chinese Chamber of Commerce, the camp saw the participation of 100 Form 5 students from various secondary schools throughout Bintulu. Aimed at promoting chemical engineering studies at university, the event included an engineering talk and workshop, as well as SPM Chemistry and Physics revision sessions conducted by qualified SPM teachers, and a session of fun and games. 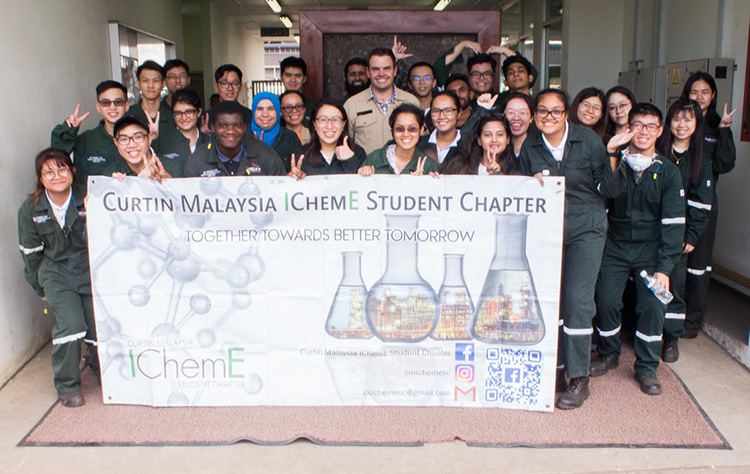 The Institution of Chemical Engineers (IChemE) Student Branch of Curtin University, Sarawak Malaysia (Curtin Sarawak) carried out its ‘The Giving Back Project’ in two secondary schools in Miri, SMK Chung Hua Miri and SMK Lutong. 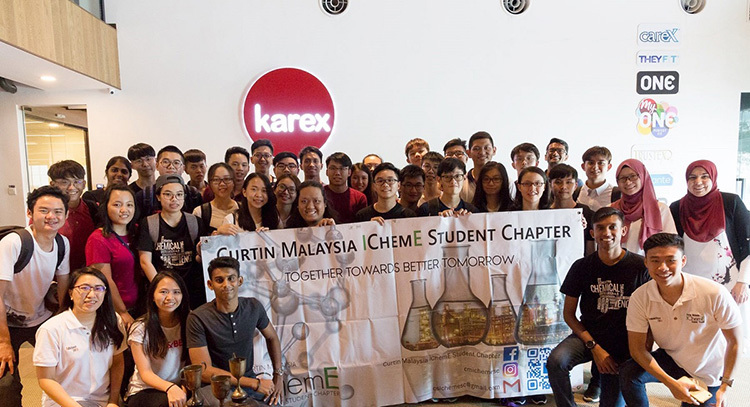 The primary aim of the project was to provide secondary school students a wider perspective of the fields of chemical and petroleum engineering, it also gave undergraduates of Curtin Sarawak the opportunity to give back to society, as part of the university’s ongoing community engagement initiatives. Curtin Sarawak IChemE Student Branch members Sheron Lim, Voon Yi Hung, Yeo Jun Yi, Syarifah Nurliza and organising chairperson Rachel Yeo made up the team that delivered talks at the two schools. 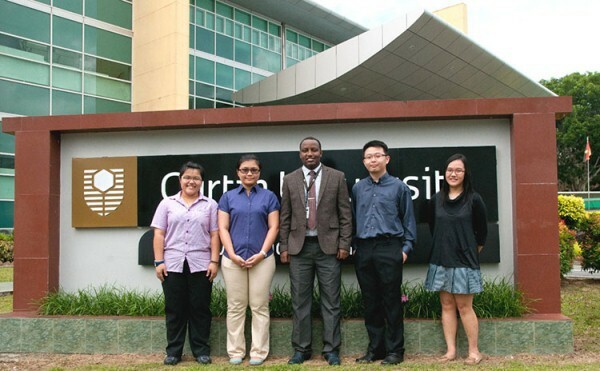 A team from Curtin University, Sarawak Malaysia (Curtin Sarawak) team was among the top eight qualifying teams in the finals of the Indonesia Chemical Engineering Challenge (IChEC) 2016 debate competition in Bandung, Indonesia. 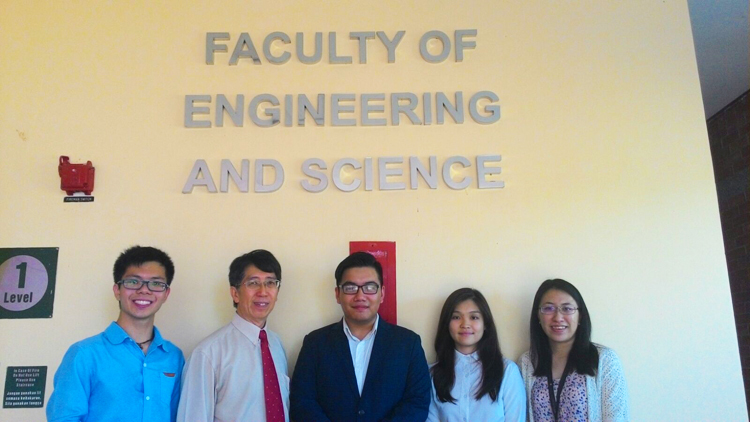 The team comprising chemical engineering undergraduates Nguyen Quang Minh, Gibson Tan Yao Sheng and Tan Suefay-Goh were under the guidance of academic advisor Dr. Bridgid Chin Lai Fui of the Department of Chemical Engineering at Curtin Sarawak’s Faculty of Engineering and Science. 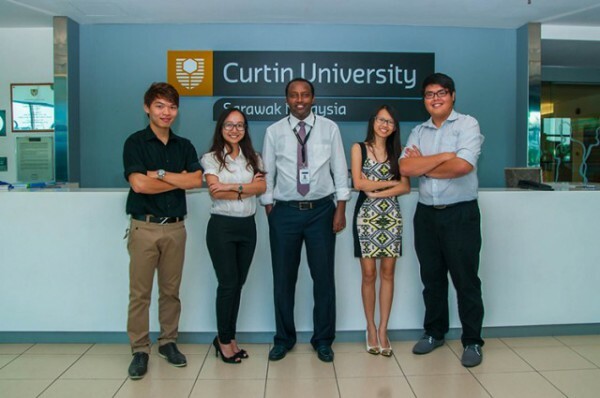 The Curtin Sarawak team advanced to the finals following a good showing in the essay-writing assessment round in which teams had to write essays using their own ideas combined with scientific information on the theme ‘Potency of Coal in Substituting Chemical Industry Feedstock’. Both winning teams with their supervising lecturer Dr. Bridgid Chin. 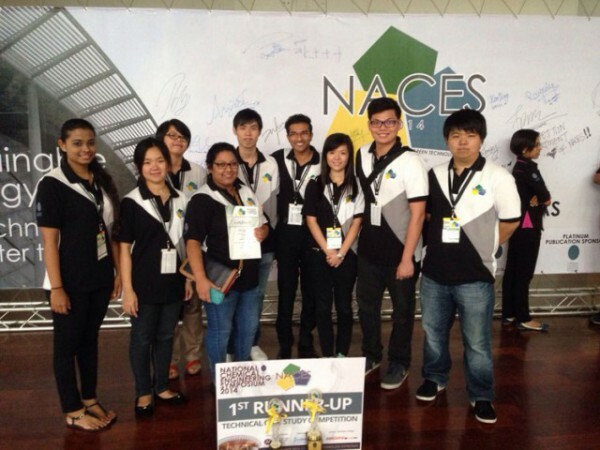 Lee Ren Jie, Lim Gek Joo, Sheron, Lim Shih Chiang, Mong Irene and Sam Tze Mun emerged the Champion winners in the Process Plant Design category and Joel Tong, Mohammad Shehryaar Khan and Nguyen Quang Minh won the Champion in Technical Debate Competition in NACES 2015 held from 4-6 December at Curtin Malaysia. The National Chemical Engineering Symposium (NACES) 2015 was held for the first time in Sarawak at the campus of Curtin Malaysia, attracted over 250 participants from 17 tertiary institutions in Malaysia, Indonesia and Singapore. 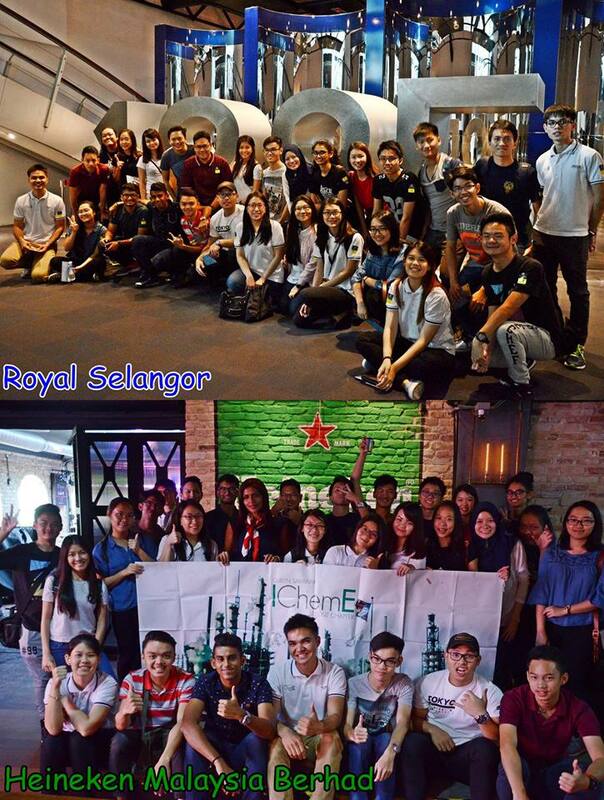 The event with the theme ‘Tug of War: Fossil Fuels against Renewables’ was successfully organised by Curtin Malaysia’s Institution of Chemical Engineers (IChemE) Student Chapter in collaboration with the university’s Department of Chemical Engineering and the Institution of Chemical Engineers (IChemE) in Malaysia. The organising committee and student helpers are Low Yi Jin, Chua Ming Hao, Sii Ding Ding, Sia Jia Yon, Kelvin Kho, Chow Yee Fong, Mervyn Ling Chi Yang, Yeo Bee Yin, Jessica Mok Fen, Nur Munirah Meera Mydin, Tina Tan Co Nnie, Michella Lee, Reine Beryl, Lee Mun Leong, Kong Kah Huii, Lee Xiao Yan, Sing Yao Rong, Rachel Yeo Lu Zhen, Pang Jia Ni, Chong Cai Yi, Cha Wan Chin, Dua Yann Ling, Theng Kai Wen, Adam James Ho, Lim Li Xing, Lai Chia Chie, Ooi Ching Yuh, Chong Min Yee, Susie Kong, Chan Zhi Yieh, Ng Qi Hui, Safina Ujan, Nuraleesya Hamidah Ali, Emmanuel Chang Chun Kit, Jude Dominic Lim Zhao Xiang, How Teck Kien, Lee Chin Kwan, Melissa Siaw, Lim Jihn Yih, Callum Tan Dai Min, Choo Wai Lim, Yap Zhe Yang, Lim Qin Xiang, Kenneth Kho Khai Kiat, Sebastian Belulok Saging, Lai Teck Yew, Wong Chuon Seng, Gibson Tan Yao Sheng, Ijlal Raheem, Ivan Wong Fu Yuan, Stephanie Ling Siew Kiong, Tan Suefay-Goh, Angela anak Juan, Ashok Mohan Puthuppully, Hii Hium Yee, Lau Hui Chuen & Estee Sheera Vee Anak Teddy. Honeywell Process Solutions announced in Madrid, Spain recently that four students from Curtin Malaysia have been named winners of the annual Honeywell UniSim® Design Student Challenge, which is designed to challenge students to solve real-world problems facing industrial processing plants. 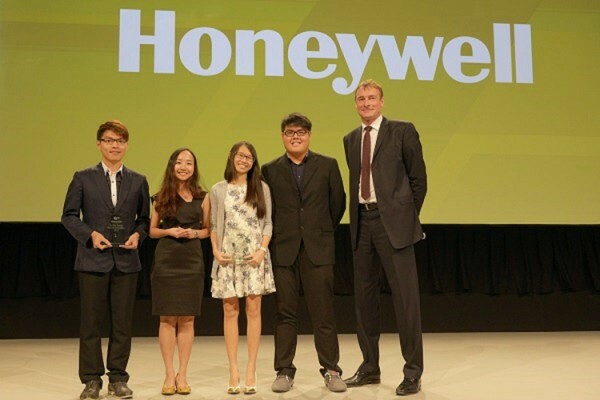 Engineering students Lee Ren Jie, Lim Shih Chiang, Sam Tze Mun and Loo Ying Ting showcased their winning submission to more than 1,000 attendees at the 2015 Honeywell Users Group (HUG) EMEA Conference in Madrid. The students’ project detailed improvements that could be made to the energy efficiency of gas processing plants, by retrofitting natural gas liquid fractionation trains using an innovative self-heat recuperative process. This solves a very real issue, which is increasing the efficiency of natural gas and gas liquids plants is critical globally as the energy industry struggles to keep up with consumer and commercial demand. 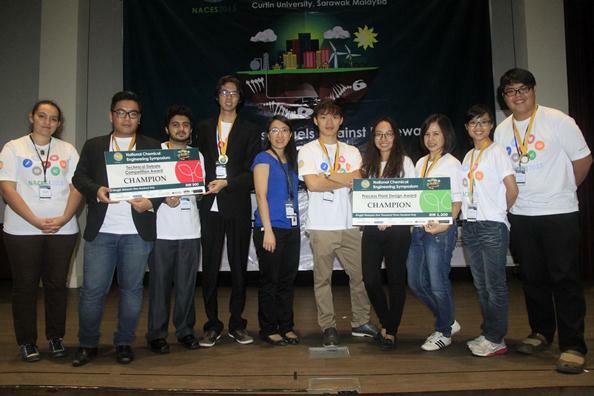 A team of chemical engineering students from Curtin Malaysia has won the 2015 APAC-EMEA (Asia Pacific, Europe, Middle East and Africa) Honeywell UniSim Design Challenge. This year’s winning entry was “Retrofitting of the natural gas liquid (NGL) fractionation trains using a modified self-heat recuperative (MSHR) process to improve the overall energy efficiency of gas processing plant (GPP)” by final-year chemical engineering students students Ren Jie Lee, Shih Chiang Lim, Tze Mun Sam, Ying Ting Loo and their supervisor, senior lecturer of chemical engineering Dr Mesfin Getu Woldetensay. 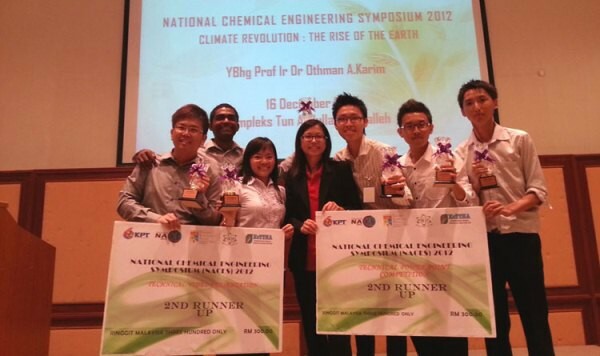 A team of four chemical engineering students of Curtin Malaysia proudly embodied their university’s commitment to excellence and innovation when they emerged third in the final presentation of the 3rd Institution of Engineers Malaysia (IEM) Chemical Engineering Design Competition 2014/2015 recently. The team comprised group leader Chen Wai Mun, Kristy Nyagang, Byron Jong Tze Lerk and Lek Zhan Hong under advisors Dr. Stephanie Chan Yen San of the Faculty of Engineering and Science’s Department of Petroleum Engineering and Dr. Mesfin Getu Woldetensay of the Department of Chemical Engineering. 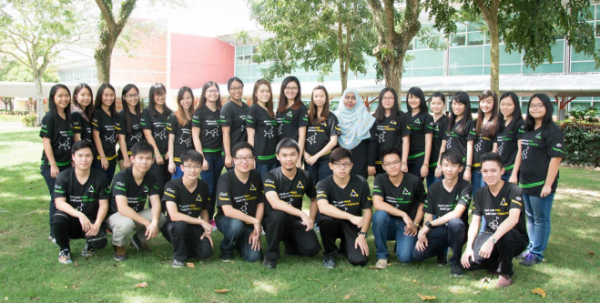 A team of three final-year chemical engineering students of Curtin Malaysia won the Honourable Mention Award for its entry in the Crown Prince CIPTA (Creative, Innovative Product and Technological Advancement) 2015 competition organised by Institut Teknologi Brunei in partnership with Brunei LNG. How Teck Kien, Koh Boon Yew and Melissa Siaw Yiin Ling received their award, which included a BND2,000 cash prize, at an award ceremony held at the Royal Brunei Polo and Riding Club in Brunei recently. They were accompanied by their project supervisor, lecturer of petroleum engineering Dr. Stephanie Chan Yen San. 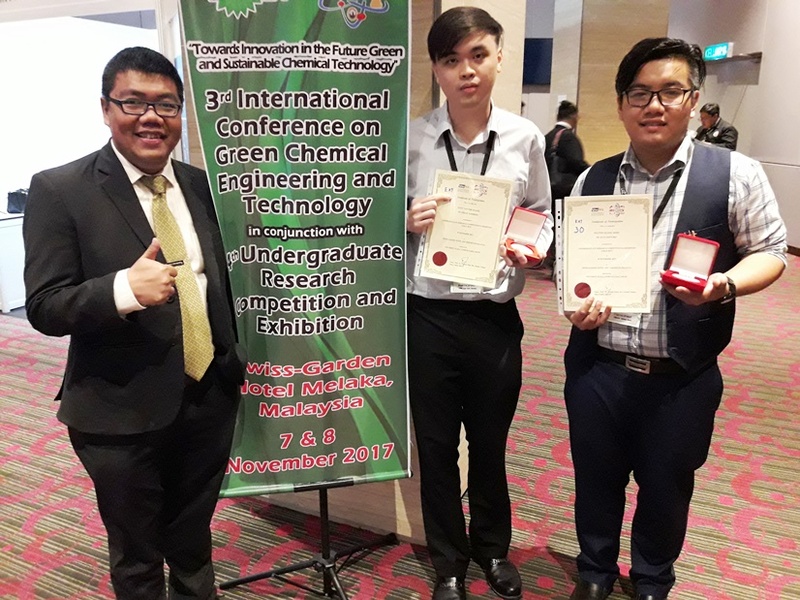 The students were awarded for their project, ‘Extraction of Vitamin E from Palm Fatty Acid Distillate’, one of the ASEAN entries in the New Invention and Innovation category. Second-year students Shanya Cheekhooree and Kanthan Theva Kumaran won first and second place respectively in the Technical Case Study category. Meanwhile, team of four final-year students comprising How Teck Kien, Melissa Siaw Yiin Aing, Lee Chin Kwan and Jude Dominc Lim Zhao Xiang advanced to the finals in the Technical Power Point Presentation category. 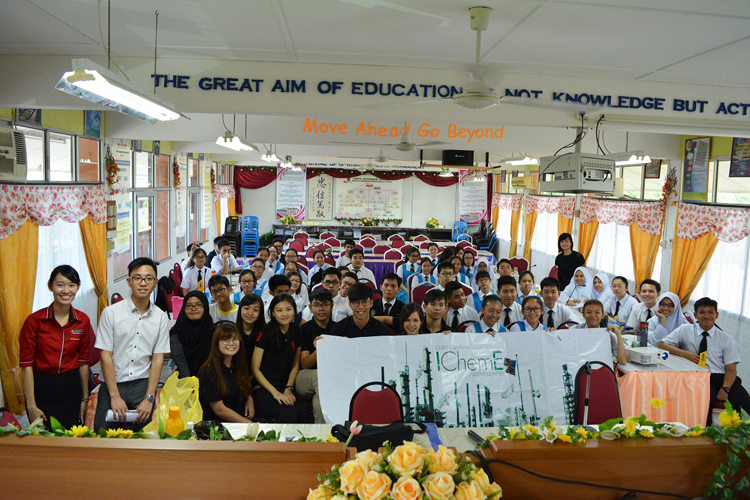 The students were supervised by chemical engineering lecturers Dr. Stephanie Chan Yen San and Lau Shiew Wei. 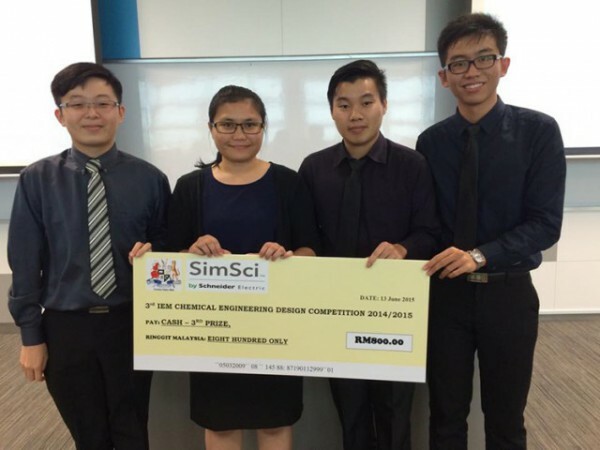 Four fourth-year chemical engineering students of Curtin Malaysia emerged champions in the Honeywell UniSim Design Challenge 2014, a student competition organised by Honeywell and Student Competitions. 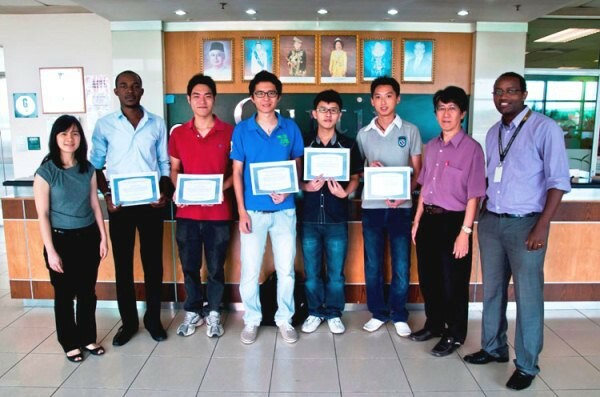 The team comprised Kristy Nyagang, 23; Aw Ying Yin, 23; Chen Wai Mun, 23; and Chang Chung Min, 24. They were supervised by lecturer of chemical engineering Dr. Mesfin Getu Woldetensay. The Honeywell UniSim Design Challenge nurtures and promotes talent in the process manufacturing industry among students from higher learning institutions in Europe, Africa, the Americas and Asia. 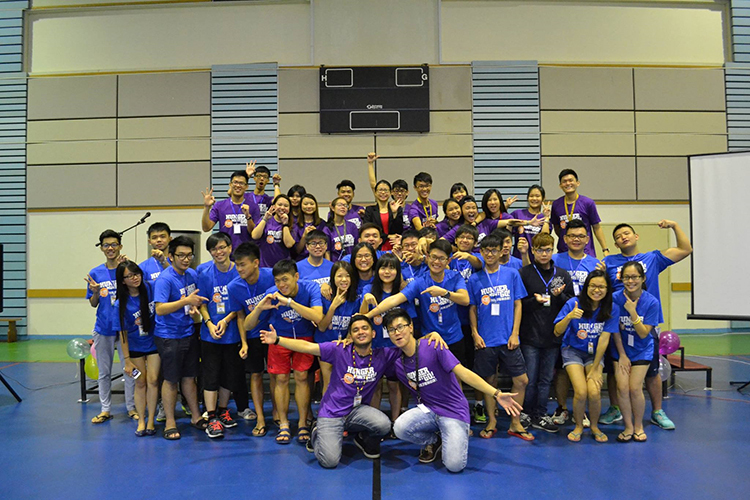 Both winning teams with their supervising lecturer Lau Shiew Wei. Hwang Zi Zin, Sarven Shan Muniandi, Yong Choon Ping, Chin Wan Ching emerged the second runner-up winners in the Technical Power Point Presentation category when their presentation entitled ‘Human Footprint: Past, Present, Future’ was placed in the top three among 20 presentations. Ling Jing Hong and Goh Wui Seng came in third in the Technical Video Presentation category, beating 14 teams with their video presentation entitled ‘Make a Change’. 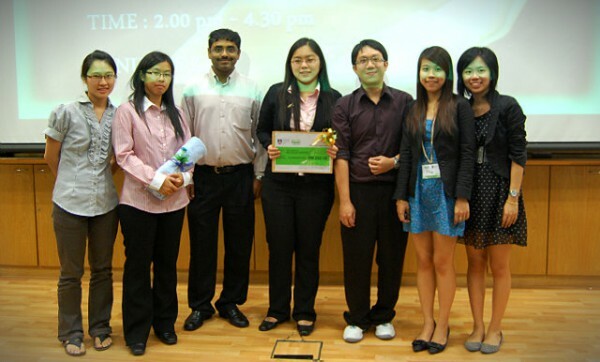 A team of five chemical engineering students of Curtin Malaysia bagged the runner-up prize in the Honeywell UniSim Design Challenge 2012. 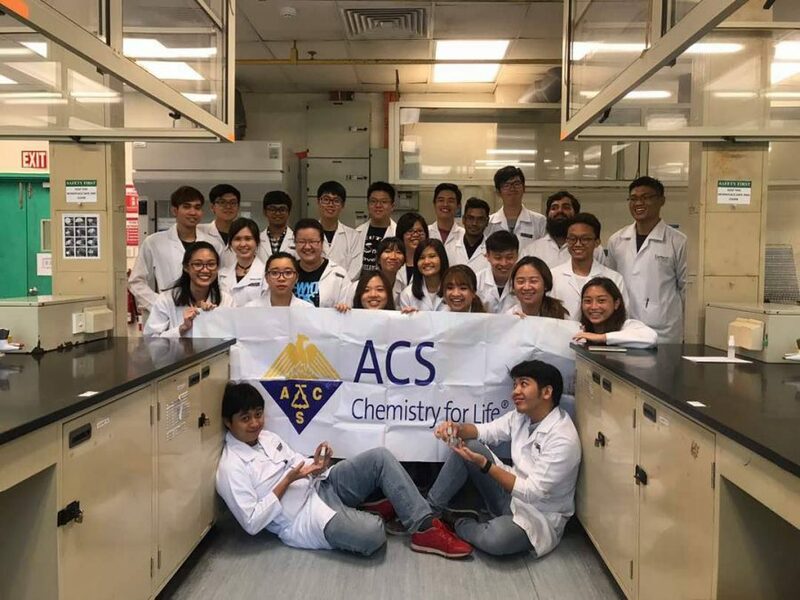 The team comprised fourth-year students Jeffrey Pang Kok Hooi, 22; and Jeremiah Ting Siew Hoo, 24; third-year students Goh Wui Seng, 21; and Anson Yong, 22; and graduate student Oriekwo Eze, 24. They were supervised by lecturer Dr. Mesfin Getu Woldetensay and senior lecturer Tan Yin Ling of the Department of Chemical Engineering, School of Engineering and Science. 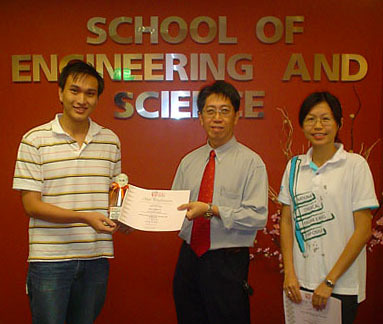 Chemical Engineering student, Kong Shu Ling, of Curtin Malaysia has won the 2nd-runner up in Technical Essay Writing Competition at the National Chemical Engineering Symposium 2010 (NACES) held at University Putra Malaysia, Serdang. Lim Yii Mei, a third-year Bachelor of Chemical Engineering student, winning in the Technical Essay Writing category with her essay, ‘New Perspective Towards Future Global Threat: Water’. A Curtin Malaysia team comprising Yong Hui Li, Veronica Yeo Shu Phing, Melissa Kho Xiao Ching and Liew Sing Yee, meanwhile, was declared second runner-up in the Power Point Technical Presentation category for its presentation on ‘Clean Water Converting Scarcity into Abundance’. 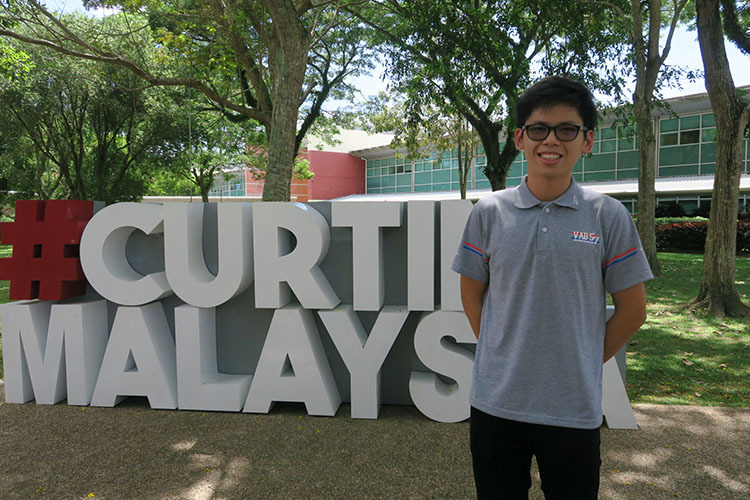 Third-year Chemical Engineering student, Chan Kwai Hong of Curtin Malaysia has won first-runner up in Technical Essay Writing Competition at the National Chemical Engineering Symposium 2008 (NACES) held at University Putra Malaysia, Serdang. 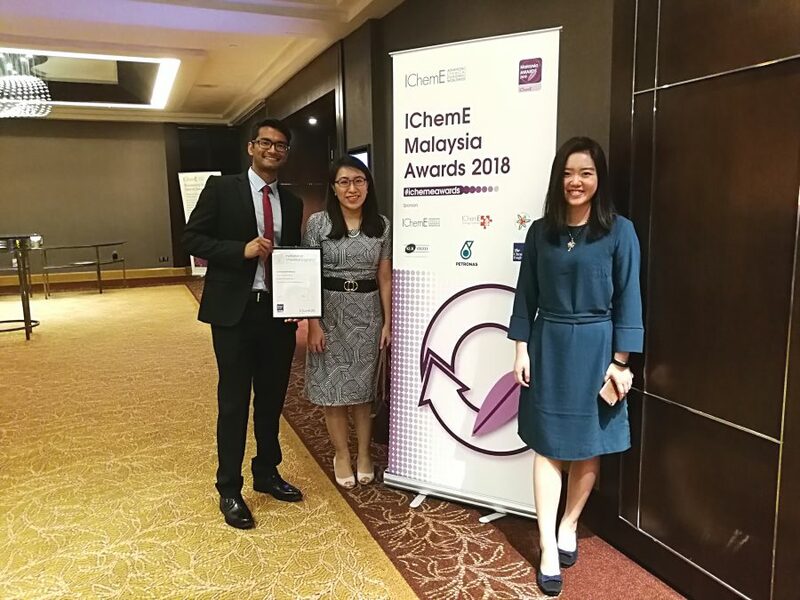 Four Chemical Engineering former students from Curtin Malaysia were awarded The Macnab Medal for excellence in design by the Institution of Chemical Engineers (IChemE), UK today. The winning students are: Tan Ai Mian, Diana Sim Tze Mei, Fam Chui Ling and Satakshee Jethwani. “The project that the students designed was a floating gas to liquid technology in producing at the volume of 50,000 barrels/day of clean environmentally fuels such as diesel and gasoline using offshore natural gas as feedstock,” explained Professor Yudi Samyudia.